Karina's Kreations: World Card Making Day Challenge! World Card Making Day Challenge! I'm issuing a World Cardmaking Day challenge. 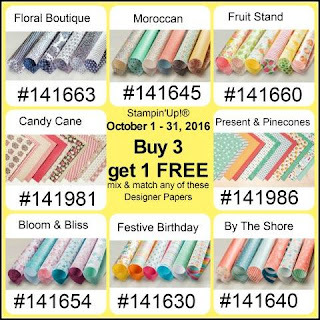 This challenge will run from Oct 1-5 and goes hand in hand with the Stampin'Up special. The special is Buy three packs of paper and get one Free from these 9 choices. 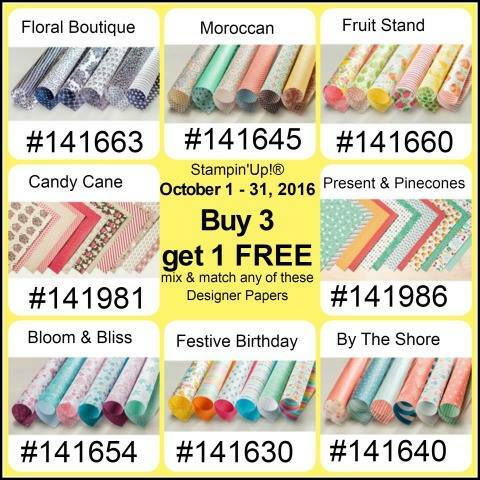 Stampin'Up has provided three fun templates to be used with Designer Series Paper. 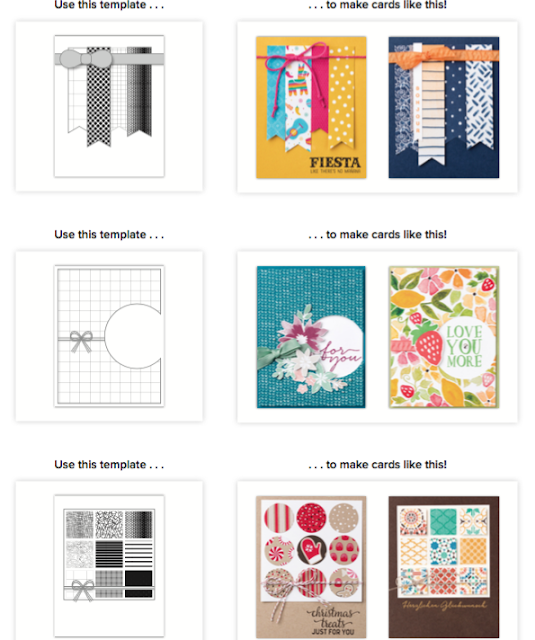 Make a card using one of these templates and post it here! I'll enter your name into a draw to win a prize. 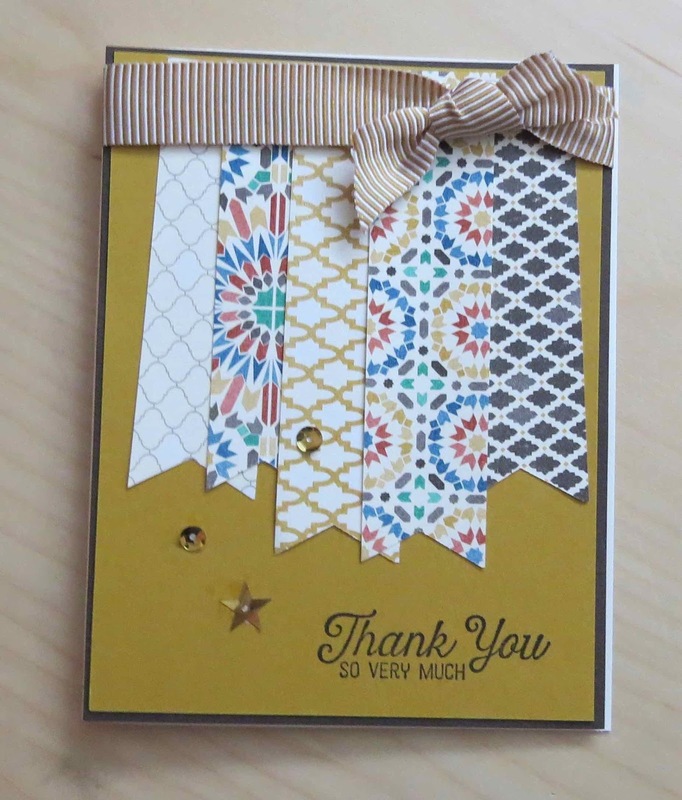 Here's the card I made using Moroccan Designer Series Paper! I hope you'll play along.